Products from four countries make their way into this MTB. Where are CHANGE bikes made? As a teen, I marveled at how my Schwinn Varsity 10-speed in a little rural town was a combination of efforts from companies in nine countries around the world, from Nippon to the Netherlands. Today, supply chains are even larger and more diverse, with some companies spanning multiple continents, designing in one place and manufacturing in another. If you want to manufacture at lowest cost, you’ll probably do it in China. But if you want quality frames and components, you can cherry-pick the best-of-class from around the world in an amazing worldwide supply chain. So where are CHANGE bikes made? 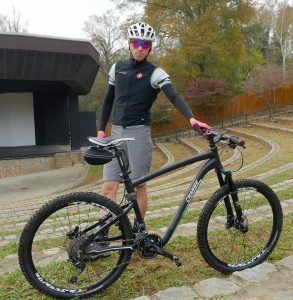 For this exercise, we’ll analyze the country of origin of the CHANGE 612 folding mountain bike. Designed and manufactured in Taiwan. 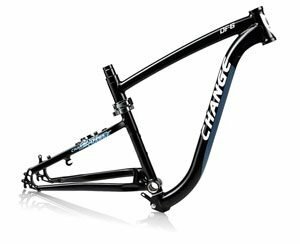 The internationally patented folding frame is designed and manufactured in Changebike LTD in Taiwan, where it won the Golden Pin engineering award. Here it was also tested and certified to ruggedness standards not achieved by any other folding bike in the world (EN-14766). Designed in USA, built in Taiwan. 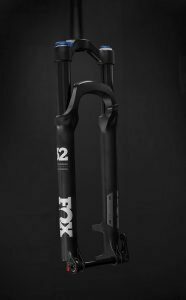 FOX produces some of the world’s best race-tested shocks, designed in USA. In 2015, the assembly line moved from California to Taiwan to be closer to their largest customers (like Giant). Designed in Japan, built in Malaysia. Shimano, based in Japan, has been producing great cycling components for over 90 years. Decades ago, they combined derailleurs, cranks, chain, brakes, and anything else they could combine into “groupsets”, all designed to work together. They crushed the rest of the market, and now this $2.9 billion company has manufacturing lines in at least three countries. 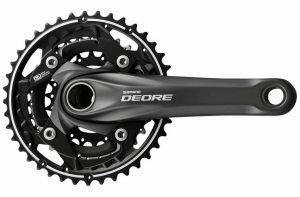 The Deore M610 groupsets are assembled in Malaysia. Designed in Taiwan, built in Taiwan. “Quick release” means something specific in the bike world–the ability to quickly get your foot out of a clipped-in pedal. This isn’t that (although the technology is also available in SPD). 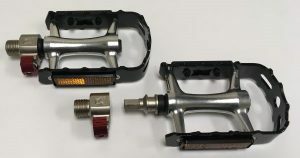 Pop-off pedals refer to the ability to remove a pedal quickly for transporting or storing a bike, manufactured only by Wellgo Pedals Corp. Wellgo is a big, worldwide name in pedals, supplying much of the world’s pedals, yet is a small 100-person company in Taiwan. They are now on their second generation of pop-off pedals. Designed in Italy, built in Taiwan. 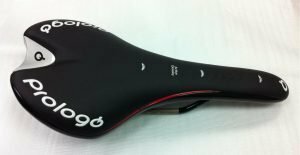 With a name like that, you know it’s got some Italian in it, and yes, Prologo designs most of the world’s best bike seats, including those for numerous Tour de France winners. They are experts in polymer experimentation, carbon fiber integration, foam construction–anything needed to build the lightest, most comfortable seats. And where do they build 15 million of them a year? Taiwan. The CHANGE 612 folding mountain bike is designed in four countries and built in two, with deep expertise in Taiwan, today’s epicenter of high-quality bike manufacturing. Now that FOX has moved their assembly line to Taiwan, there isn’t the strange case of US forks exported from California to Tawain, only to be re-imported on a bike for California customers. It’s just one super-powerful supply chain in Taiwan that integrates the best design from around the world, builds it to world-class standards, and distributes to the world. How much (or little) exercise is enough?